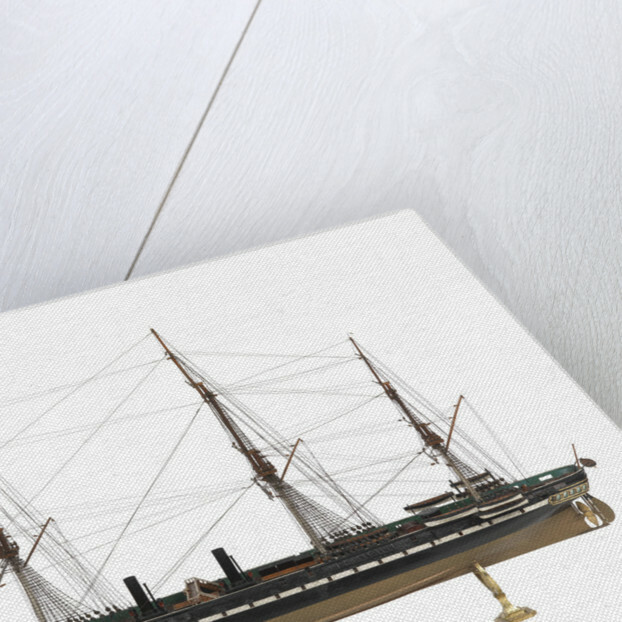 Scale: 1:192. 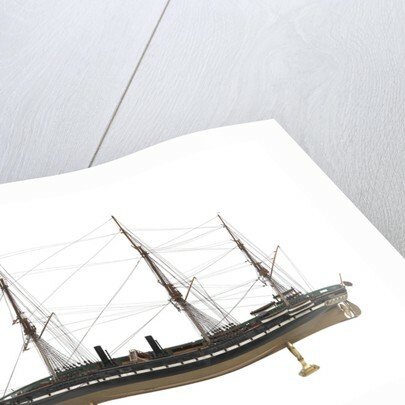 A model of HMS 'Warrior' (1860), a single-screw, ironclad battleship. The model is made from wood with metal and organic material fittings, and is realistically painted. The hull is carved from a single piece of wood and is painted a copper colour below the waterline and black above with a white band connecting the row of gun ports. There are two bilge keels on each side of the hull. 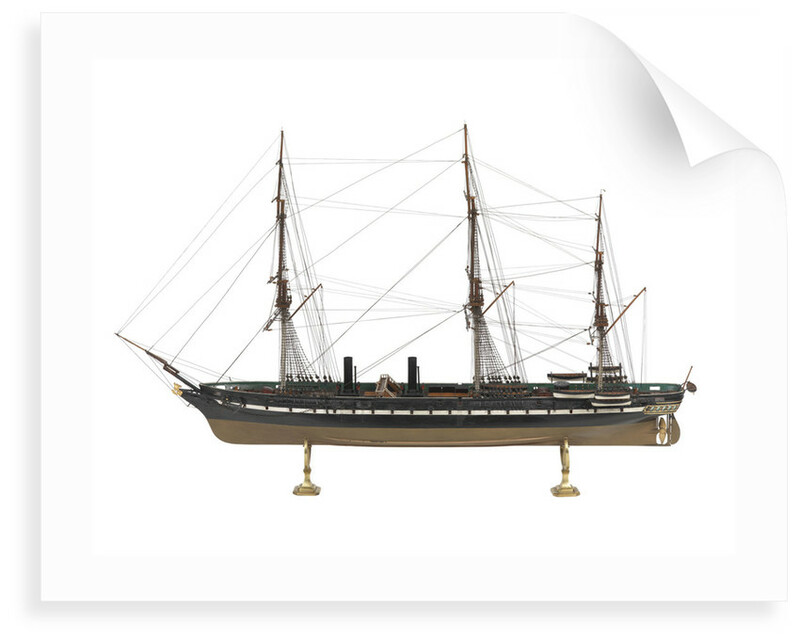 The model has three masts, all rigged with standing and running rigging but no sails, and there are two black painted funnels. A flying bridge is positioned between the two funnels and has two companion ladders.